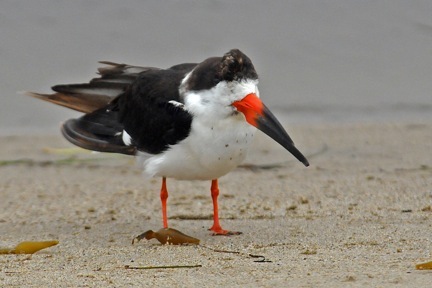 SMBAS member and prolific photographer Jim Kenney documented the presence of the Black Skimmer known as “Knobby” at Surfrider Beach on March 2, 2014. Knobby was first sighted last winter by Peter Knapp of the California Dept. 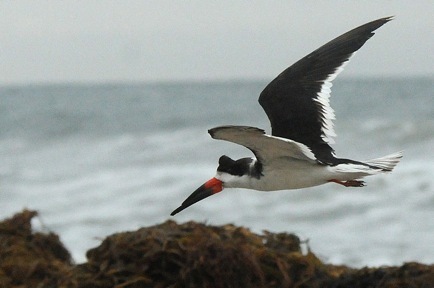 of Fish & Game, and has been seen in San Diego and Long Beach. No one knows what the knob is. It’s appearance never changes, and the bird seems otherwise healthy. I have not seen Knobby at the lagoon or anywhere else.